50 to 65cm x 1m. Full sun to semi-shade. 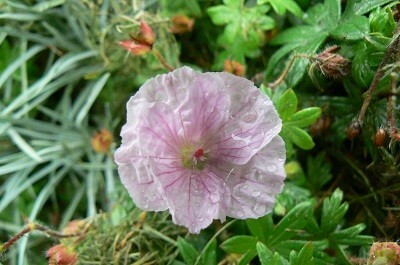 A superb geranium bred here in New Zealand suitable as a great ground cover as are all the x oxonianum varieties. 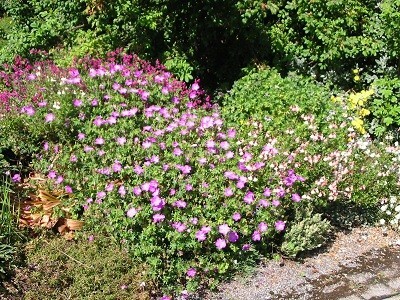 Foliage dark green topped over the whole summer with pink flowers that darken with age. A limited number ready now. 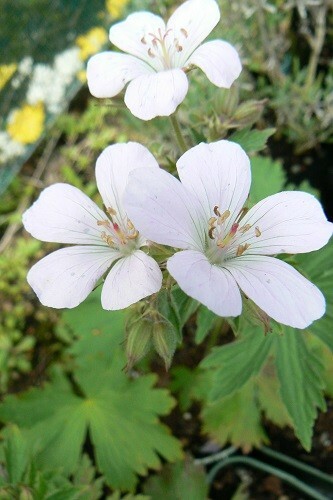 The white flowered form of the meadow geranium. 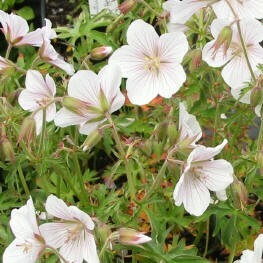 Will self sow if wwnted to, otherwise remove seed after flowering. 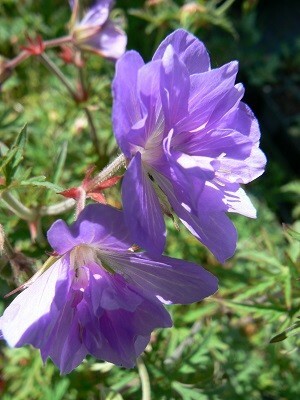 Syn Plenum Violaceum 80x60 Double deep violet-blue flowers with pinkish centres, carried on pink flushed stems. 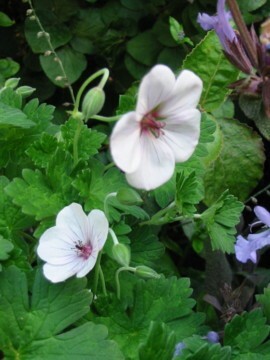 Requires a moderately fertile, well drained soil in sun or part shade. 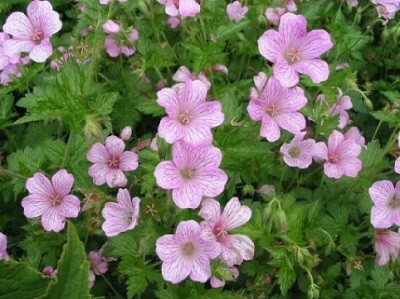 Cut back after flowering to encourage new growth and sometimes repeat flowering. 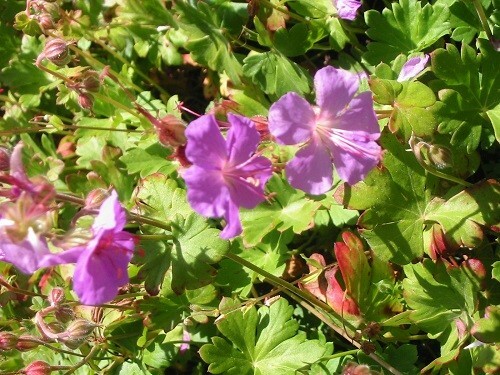 Geranium psilostemon. 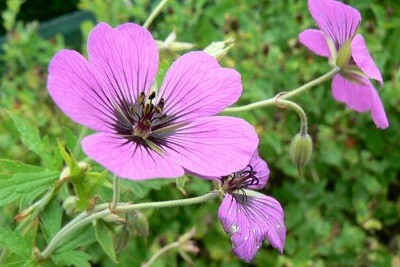 has vibrant deep cerise flowers with a prominent black eye and veins. 1.2m For sun to light shade. 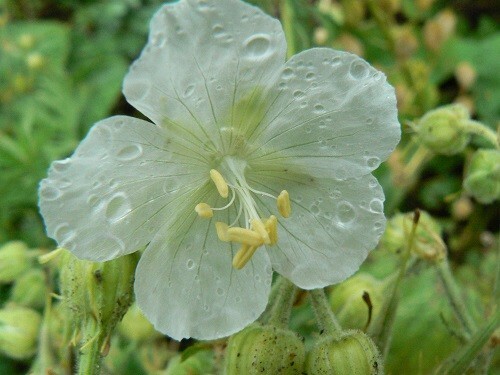 December/January flowering. Foliage has a nice autumn colour. 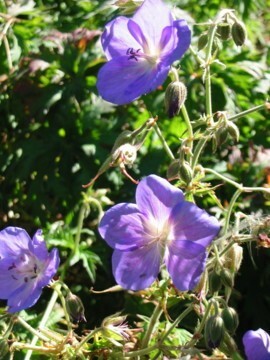 A very hardy geranium that should be in all gardens. 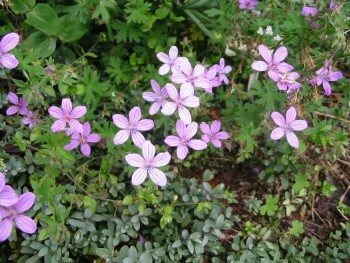 Rosy-purple flowers from spring and throughout the summer. 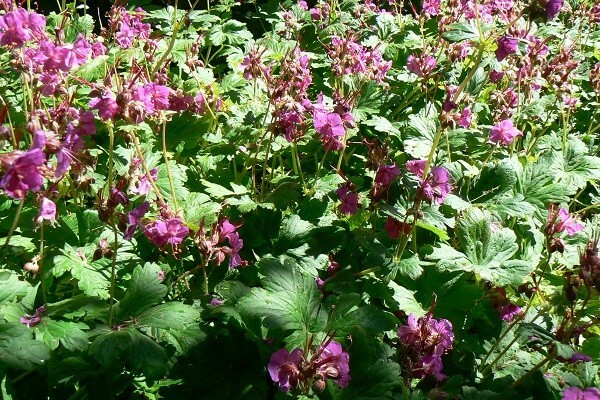 The soft dissected foliage is light green and turns red in the autumn in cooler climates. 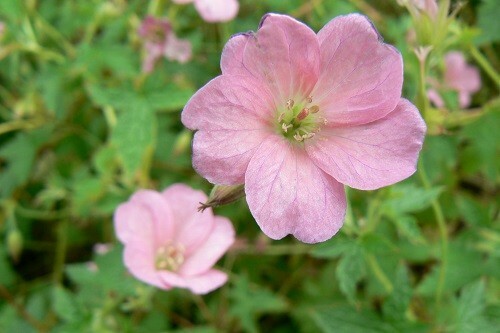 A compact low growing plant with bright pink flowers over a long period. The foliage is dark green and deeply cut. 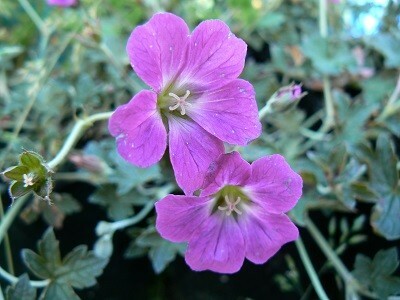 Good for the front of the border or rock garden. A must for all gardeners. 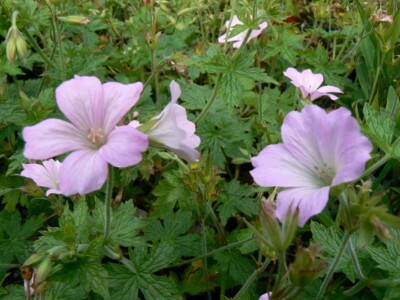 Soft pink flowers on 45-60cm stems, held above soft green foliage from late spring to early summer. 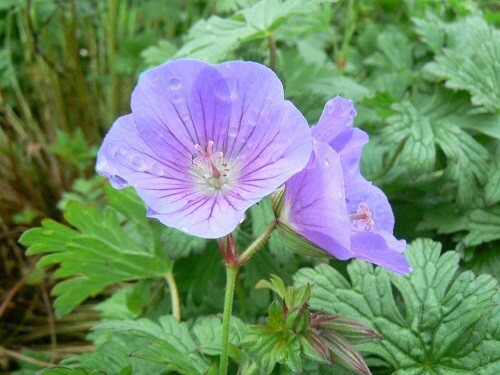 The wood cranesbill. 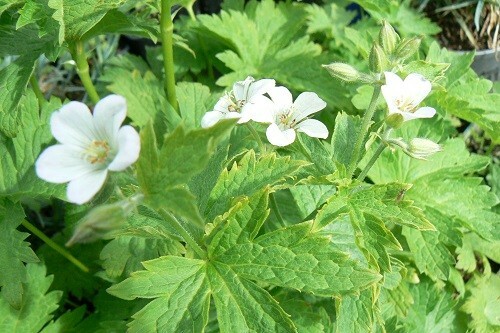 Forms a crown of rhizomes which sprout in spring with stiff upright stems clothed in fresh pale green leaves. 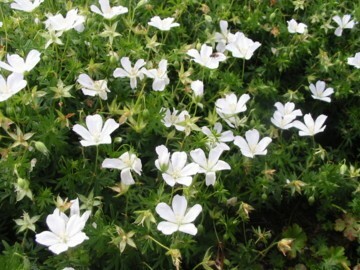 The pure white flowers are carried in well branched heads sat above the foliage. 30-45cm. Likes a shady situation. 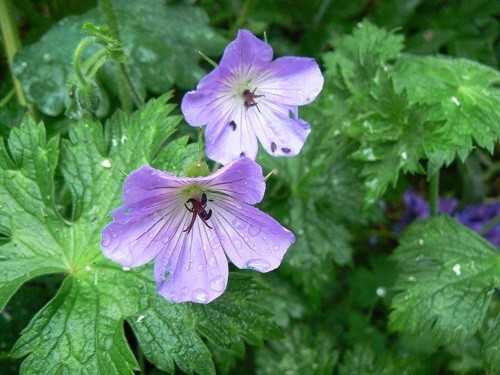 Dense marbled 5 lobed foliage with large saucer shaped, lilac-blue flowers 3cm wide with a white central zone with dark veins. Makes a good ground cover. 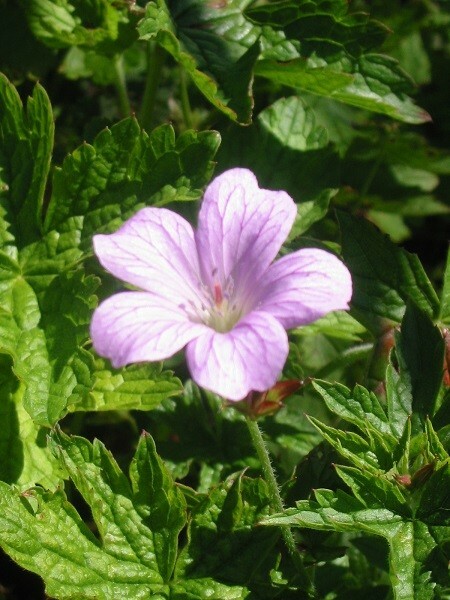 Geranium × oxonianum Winscombe has dense, lobed, mid-green leaves with cup-shaped, dark pink flowers appearing during summer.